Home baby birth dad dailythings family Girls Inspirational Interesting knowledge love news recent relationship slider Viral Section Remember Hope, The Rescued Nigerian Kid? He Started School And The Pics Are Heart-Warming! Remember Hope, The Rescued Nigerian Kid? He Started School And The Pics Are Heart-Warming! 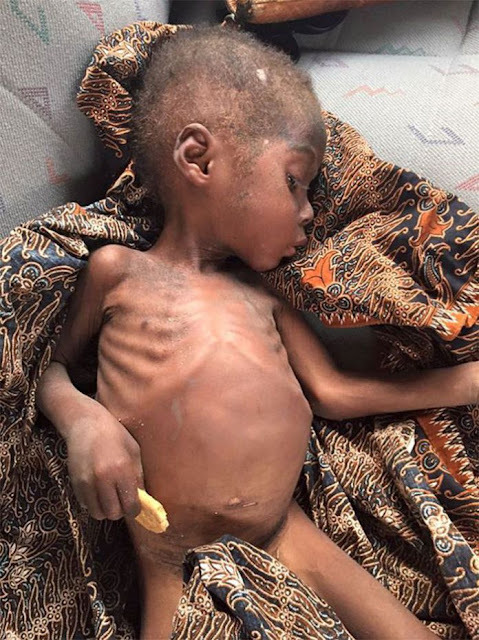 It was a year ago, that Danish Aid Workers in Nigeria, rescued a two-year-old kid on the verge of death due to malnutrition. 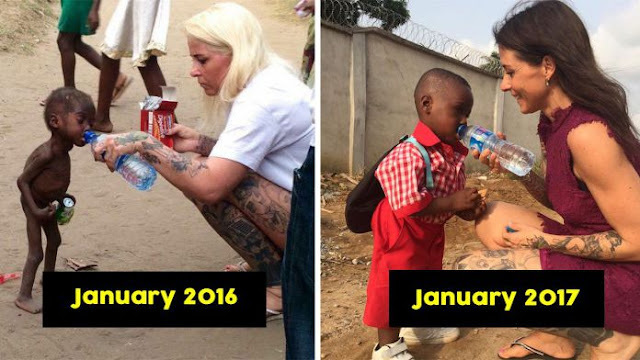 He was starving and one particular picture of him drinking water from the titled bottle after 8 months, uploaded by Anja Ringgren Lovén broke our hearts. NGO DINNødhjælp (Your Relief) took him in and named him Hope. Hope was hospitalized and had a speedy recovery, soon. In a matter of a few months, he started gaining weight and his health improved, significantly. Now, cut to a year later, Hope’s starting school and is looking extremely adorable in that uniform. Over the past year, Hope — who was once outcast by his parents as he was called a ‘witch’ and left to die on the streets— grew up in a conducive environment in the orphanage with other rescued kids. Take a look at his cute pictures. 1. This is how he was when he was found by Anja. 2. In March 2016, he was discharged from the hospital looking healthier than ever. 3. That day on, Hope’s been killing all with his cuteness. 4. Everyone dotes on Hope and we can’t see any reason not to. 5. His swag’s on point and we just love him. A year filled with love, care and happiness changed Hope’s entire life. He’s a school-boy now and we couldn’t be happier. Hope’s given us all hope!